Does transferring it to Panama threaten U.S. security? 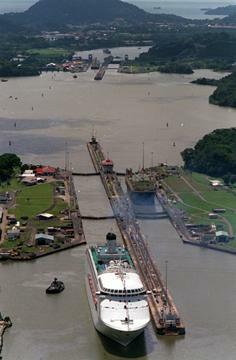 On Dec. 31, the United States will transfer the Panama Canal to Panama. Completed in 1914, the 50-mile canal was hailed as an engineering marvel that revolutionized world trade by shaving thousands of miles off the journey between the Atlantic and Pacific oceans. More than 13,000 ships a year - 4 percent of world trade and fully half of all U.S. shipping - pass through the canal. American critics say the turnover leaves the U.S. vulnerable to disruptions in trade and reduces military security. Panamanians have long resented U.S. ownership of the canal, widely viewed as an expression of Yankee imperialism. They hope that possession of the canal will help turn their country into a booming trading center, a kind of Singapore of the Western Hemisphere.